Yes, plastic surgery when done well can result in some pretty nice outcomes. In fact, some truly remarkable results, bordering on minor miracles, can be obtained in both the cosmetic and reconstructive realm when performed by very talented plastic surgeons. However, there are times when “ugliness” runs so deep that even the most advanced plastic surgery techniques can’t hide its existence. The above is actually a “humorous” (at least in my mind) setup for an interesting and unusual story that I came across in the news out of China. And, it has an unexpected twist. You see, a man by the name of Jian Feng, living in northern China, fell madly in love with a beautiful woman who he then married (Photo A). 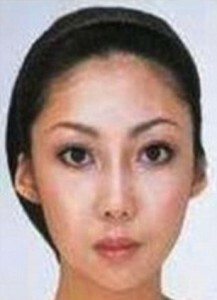 As is so often the case in these situations, she became pregnant and ultimately gave birth to a baby girl. It was at that point that the problems began. And no, we’re not referring to the usual issues associated with having one’s first child such as being pretty much clueless as to what to do, getting no sleep, being perpetually stressed and irritable, etc. The problem here was that Feng thought that the baby was ugly. Incredibly ugly! She was so ugly that he was actually horrified. Making matters even worse, he felt that the baby didn’t resemble either him or his wife. In fact, this dissimilarity was so striking that Feng accused his wife of cheating and demanded to know who the real father was. Now here is that unexpected “twist” to the story. His wife did not cheat on him – he indeed was the father of that very homely girl. HOWEVER, his wife had failed to share with him the fact that she had previously spent around $100,000 on extensive plastic surgery to dramatically transform her appearance. Given that exorbitant price tag, she had to have a real bad case of the uglies (Photo B). So, although plastic surgery did miracles for her appearance, her genes ultimately “betrayed” her and the remarkable plastic surgery transformation. Do you want to know the rest of this sordid story? 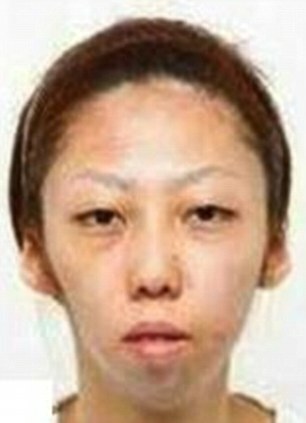 The man divorced his wife and then sued her, claiming that she got him to marry her under false pretenses – a spectacular plastic surgery facial makeover which altered her hideous looks. The shocking verdict, which by its nature could have easily been rendered here in America with our perverted legal system, was that HE was awarded $120,000 for this deception. Anyhow … if you would like information on any facial or other cosmetic plastic surgery procedures that I perform or to schedule a complimentary consultation, please call my office at 480-451-3000.